Most of us have come in contact with an Opossum, or Possum as they’re often called in Tennessee, at least once in our lives. Because of their appetites for what we throw away, you might have seen them lingering around your trash cans or rummaging around your campsite. The site of a an opossum can be quite terrifying, with their beady eyes and sharp teeth but the chance of actually being attacked by them is relatively small. House hold pets barking at the air conditioning vents, especially at night. Trash knocked over and dug through. A strong odor similar to a skunk at times. Spotting them around your property at night. Loud noises coming from the walls or floor, especially at night. 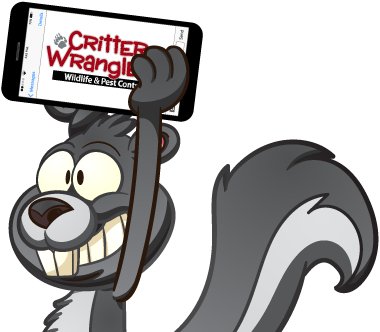 If you suspect that you are dealing with an opossum in your home or commercial property call Critter Wranglers ASAP. We make opossum removal easy! We advise that you do not attempt to remove an opossum from your home without the help of professionals. These animals may appear to be slow and uncoordinated but in reality the opossum can move quickly and is prepared to defend itself.